Rugby has become an increasingly popular sport in Ireland in recent years. This is due largely to the national team’s success as well as the success of the provinces, both domestically and in Europe. 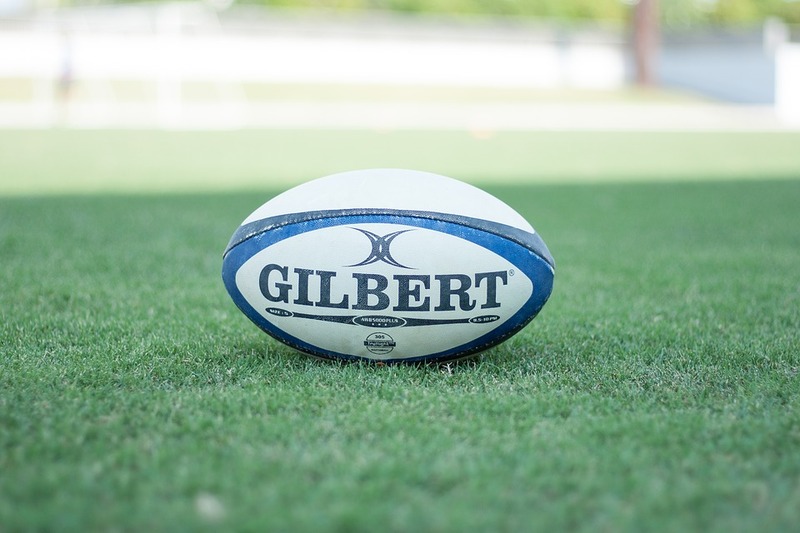 However the sport of rugby is inherently dangerous, and as the game grows, so too do the concerns about injuries – head injuries in particular. As with any professional sport, there is an element of risk; it is by effectively assessing the risk/reward benefit that players are able to continue to make a living from rugby. But when you take away the pay cheques and the sponsorships, what is it about rugby as a sport that attracts people to play it at amateur level? Despite the most recent results, Ireland as a nation has never been more excited for rugby than it is right now. The country is on the crest of a wave as we head towards the Rugby World Cup in Japan. And the national team’s success has trickled down, with the game growing domestically in every respect. All four of the provinces have progressed to the quarter-final stage of their respective European competitions, with both Leinster and Munster competing at the top of their respective conferences in the Pro14. And with the IRFU’s use of centralised contracts, spectators are treated to seeing the best that Irish rugby has to offer every week. Seeing these sporting giants on a regular basis is inspiring, and has led to many children growing up wanting to be the next Brian O’Driscoll or recreating Johnny Sexton’s drop-goal in Paris in their back gardens. This is the new reality for rugby fans. Despite what people want to believe, rugby is no longer simply for elite private school alumni. Irish rugby is growing at a remarkable rate. According to the IRFU, there are 224 rugby clubs in Ireland, 70 of which are in Leinster. And under the umbrella of the Leinster branch, there are 28 different leagues at senior level as well as youth leagues ranging from under-13s to under-18s of various skill levels set up across the province. There is a clear message here: rugby is for everyone. The infrastructure is there to allow anybody to get involved in the game of rugby but why should they? According to some of Trinity’s own social players, the sport itself is almost secondary. “I think one of the major benefits at the amateur level would have to be the inclusivity and social side of the sport,” said Nicky Delamer, who plays for the Trinity Thirds (or Socials). “With 23 people in a matchday team, the squad sizes and amount of people that turn up to training are relatively large compared to other sports. The social atmosphere surrounding rugby is fantastic, and with so many new faces coming each week to train and play, the social scene is ever-changing and really enjoyable.” And that makes sense. Relinquishing the pressures of having to perform at the highest level means that the entire experience becomes more enjoyable. The sport becomes a release rather than another strain in the hectic college lifestyle. Another issue affecting rugby at the amateur levels is the way in which women’s rugby is viewed by many people. Women’s rugby is still an amateur game in Ireland despite developments in other nations such as England and New Zealand, where they have issued professional and semi-professional contracts respectively. And despite the elite level of women’s game, both in skill and physicality, Harkin believes there’s a certain issue that needs addressing. “I definitely feel that the reputation of rugby as an injury-filled sport has negatively affected the women’s game,” she said, discussing the reaction she gets as a rugby player. “A lot of people would often ask me how my parents allow me to play the sport whereas men are rarely asked the same question. Women are viewed as more fragile than men and it is more common to hear of men playing the sport, and I definitely think there is stigma to be broken around a woman’s ability to take a tackle.” This is a problem that unfortunately permeates women’s rugby at every level. The game will find it difficult to evolve if it can’t find any new players. Strides need to be taken by the IRFU to address this imbalance. There will always be risks when someone decides to play rugby. It is an incredibly physical sport that can result in very serious injuries. But there is more to it than Grand Slams and World Cups. Ireland is growing a crop of talented young players at every level of the game. And they are choosing rugby for many reasons: to stay fit, to make friends, to relieve some stress. But most importantly, people are playing this sport because they enjoy it and they have fun. And so long as the focus is kept on player welfare then rugby will continue to be a game for everyone.